We could say that is a symbiosis between traditional typical, home cooking, good taste and refinement, with value advantageous respect to a restaurant, and a “flamenco show” where you can enjoy a live performance without wait until late in the morning as usual in this type of show. 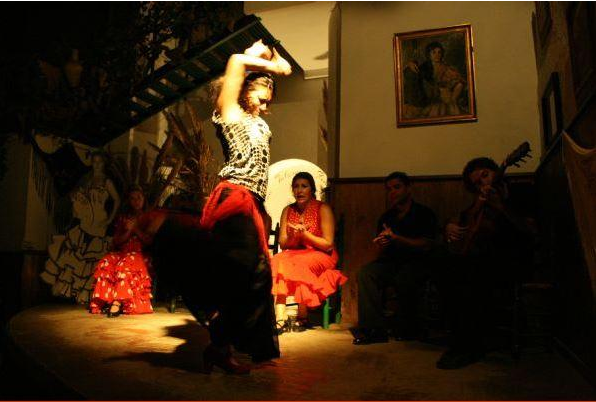 There are two concepts that includes “LA Taberna Flamenca” in its offer to customers: catering and entertainment. But before going into details we begin to describe the local and place in an urban context. It is a typical old town of Jerez winery from the beginning of the twentieth century, with high wooden ceiling suitable for aging wine. In the neighborhood of San Mateo de Jerez find this traditional and authentic tablao, the Laga Uncle Parrilla. 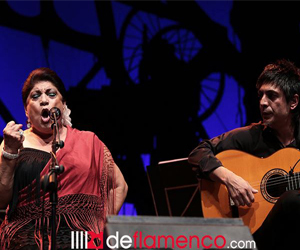 This place has a long family tradition of flamenco artists, singers and flamenco dancers. C/ San Miguel, 5. Junto al Pradillo. CÁDIZ RESTAURANTS – A MUST VISIT! We are talking Michelin-level cuisine…amazing!